WBE Impact events are designed to be a resource to propel women-owned businesses to succeed and to create a greater impact in their communities. The Women Business Enterprises Canada Council (WBE Canada) will bring together women owned businesses, corporate and government supplier diversity and procurement professionals. This event will address the needs of emerging and established business owners. We will also discuss how corporate and government organizations can initiate supplier diversity and/or social procurement policies and practices into their day-to-day operations, mistakes to avoid and top recommendations from organizations that successfully implemented such programs into their procurement. This is an opportunity for exceptional networking, learning and professional development. Features are WBE 2 WBE introductions and Meet the Buyers (large corporations). This is an exceptional opportunity for WBE Canada certified women owned businesses to leverage their certification and women-owned businesses new to supplier diversity to discover its benefits and potential. 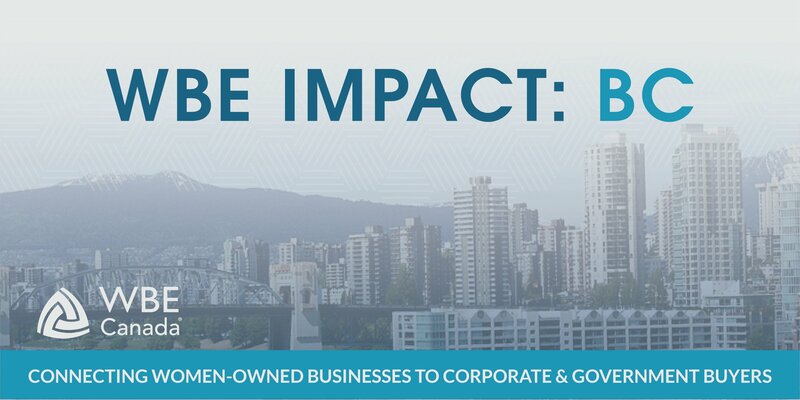 Join us at our first WBE Impact event in Vancouver, BC this February as we aim to connect our community of WBEs and encourage conversations between women-owned businesses and corporate/government buyers. High-level introductions between women-owned businesses and corporate & government buyers. Karen Blackwell is currently providing thought leadership, negotiation skills and business development expertise to growing enterprises across the nation. Prior to returning to the world of the entrepreneur, Karen was the Manager for Supplier Diversity and Development for Nestle, North America where she was responsible for reenergizing and expanding the supplier diversity initiative by helping minority, women, veteran owned and other small businesses owners access to procurement opportunities within 7 operating companies. In that role she supported Nestlé’s business case by developing the infrastructure and tools the procurement team and their stakeholders used to annually impact more than $9 billion in spend. This resulted in the enterprise increasing the volume of business done with diverse companies in a manner that was consistent with strategic sourcing, innovation and competition. During her tenure at Nestle, the supplier diversity program expanded its internal and external network of buyers, Nestlé stakeholders and strong diverse suppliers. The Nestle Supplier Diversity program was a recognized leader for its online Supplier Diversity portal, eLearning and interactive supplier teleconferences which became examples of Best in Practice components for relevant Supplier Diversity programs that are cost efficient and effective. Before joining Nestlé, Karen held several positions of increasing responsibility including Assistant Deputy Mayor Economic Development for the City of Los Angeles , and Small Business and Job Training Manager for the $4.2 billion world class Alameda Corridor construction project. As a business owner, VP of a small consulting company and a practicing City Planner she developed a unique view of how entrepreneurs can succeed in today’s economy. 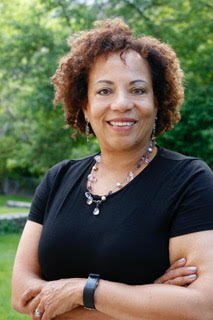 Karen is originally from Philadelphia PA. She holds an undergraduate degree in sociology from Beloit College, a Masters from the University of North Carolina at Chapel Hill and is a graduate from the CORO Foundation’s Women Leadership Program. Julie Kaye is the President of TBD Telecom By Design Inc – a Canadian IT Solution Provider specializing in Cloud Computing, IoT, Hosted Voice, Data Infrastructure and Sign & Media Display serving businesses since 2008 operating within the following verticals; Education, Corporate, Manufacturing, Health Care, Agriculture, Non-Profits, Financial, Marketing & more! Julie has over 20 years of entrepreneurial and business experience in IT, Mobile and Telecom and enjoys working collaboratively on a variety of size projects ranging from single site, multi-site and campus wide. The love of learning and forward thinking ideas have allowed new solutions and business concepts to flourish within organizations she is involved with. 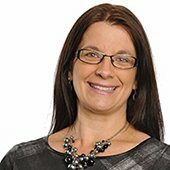 Julie currently serves as WBE Canada Board Member and Chair of the Supplier Advisory Committee. She is also an active Board Member in the Liberty Village BIA (a non-profit business improvement association) and has previously volunteered as Campaign Manager for a City Council candidate for the City of Toronto Election in 2014. Julie finds that partnerships and working with others toward a goal is natural and rewarding. Lisa Siragusa is a telecommunication equipment and training specialist who believes that there is “no better connection, than the human connection!”. And as President of NRG TeleResources she has the platform to ensure that all business conversations and your company’s brand voice are clear and effective. Over the past 15 years, Lisa has grown NRG from a local business headset company to a national telecom training and accessory partner. She has been successful to strategically partner with 3 of Canada’s largest Telcos and numerous other telecom providers. Lisa’s business achievements have also given her the stage to be an advocate for women in business. 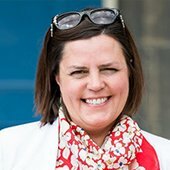 To support this passion, Lisa is a member of the WBE Supplier Advisory Committee, an active Ambassador with the Women’s Business Network of Ottawa; on the planning committee for the Business Women of the Year Awards; and has participated in a number of events with the Forum for Women Entrepreneurs. Maddy has had a broad and exciting career within the Procurement & Supply Chain field. 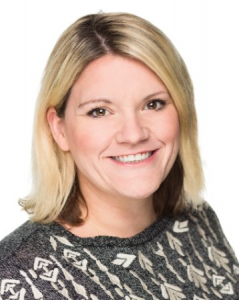 Within TELUS, Maddy leads the IT & Technology Services Procurement team, including responsibility for resale spend for TELUS Business Products and Services. Prior to this role, she led the Procurement Strategy and Innovation (PSI) Team, and was responsible for leading the future state strategy, processes and policy within the function, in addition to operational management of compliance, risk, offshore support, Supplier Diversity, technology, and data intelligence. Supplier Diversity is a proactive business process that seeks to provide diverse suppliers (i.e. ethnic, minority, aboriginal, women, and/or members of the LGBQT-run businesses) access to supply management opportunities that are reflective of their diverse communities, and encourage economic development. TELUS believes that their Supplier Diversity Program delivers an improved and innovative customer experience by taking proactive steps to provide equal access to a supply base that reflects the diversity of where their people live, work and serve. It fully aligns to their commitment and passion within TELUS to ‘give where we live’ and their Diversity & inclusion strategy. Mike Pacholok is a Chief Purchasing Officer of the City of Toronto’s Purchasing and Materials Management Division with past experience as a municipal law solicitor with an emphasis on procurement law. Under his leadership City of Toronto implemented Social Procurement policy. City of Toronto is currently playing a leadership role for Canadian public institutions that are interested in channeling their procurement needs to help build more equitable communities, deploying a unique strategy that blends elements of the American and European approaches. Supplier diversity is important to the City of Toronto. The Social Procurement Program aims to achieve inclusive economic growth by improving access to the City of Toronto’s supply chain for diverse suppliers. In the first 2 years (2017-2018) of the City of Toronto Social Procurement Program, the City of Toronto awarded $1.3 million dollars in low value contracts to certified diverse suppliers. 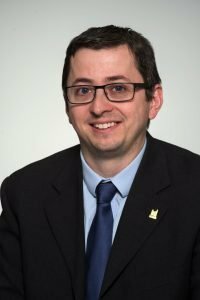 A more inclusive approach to procurement represents a deliberate City of Toronto strategy to support broader City social, economic and workforce development goals, while minimizing, through a carefully crafted policy framework, risks to the City and to the integrity of the City of Toronto’s procurement processes. The Program creates a foundation to shift the City of Toronto’s procurement culture long-term, showing how all City divisions can make a positive impact on the City’s poverty-reduction goals, which is important to the City of Toronto. Women’s Enterprise Centre is a non-profit organization devoted to helping BC women launch, lead and scale their own businesses. Our full range of services includes business loans up to $150K, with access to an additional $100K through a new partnership with BDC. We also provide business advice, skills training, mentoring, resources and a supportive community to help women entrepreneurs realize their business potential. GroYourBiz™ is a membership organization offering peer business advisory boards for women entrepreneurs who want to take their business to the next level. GroYourBiz™ provides a tactical and proven method to providing support for growth-oriented women business owners through MyBusinessMyBoardTM Advisory Board. The program is open to women business owners who have everyday responsibilities for their business and who demonstrate a readiness and commitment to take their business to the next level.